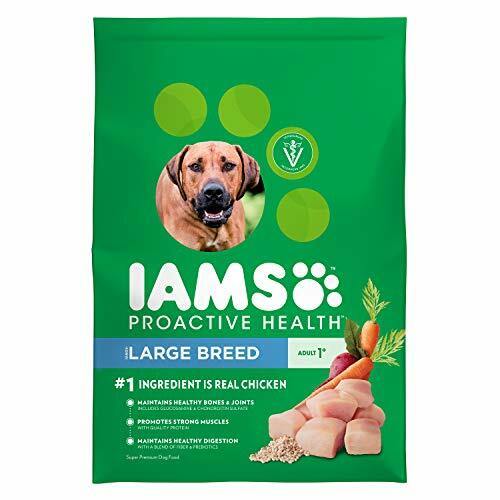 IAMS ProActive Health Adult Dog Food for Large Dogs is veterinarian recommended and made with real ingredients. Our recipe starts with farm-raised chicken and includes wholesome grains and veggies. It’s formulated with glucosamine and chondroitin sulfate for healthy joints. Plus, our quality, easily digestible ingredients provide your dog with a strong immune system; healthy skin, coat, and metabolism; and strong bones. Look for the IAMS difference. If you have any questions about this product by Iams, contact us by completing and submitting the form below. If you are looking for a specif part number, please include it with your message.